Things aren’t always what they seem. That object you see every day in your office is different to what your workmates perceive about that object. It depends on how you are focusing your concentration to a certain thing or situation. Different people see the same things differently. How we perceive things is what actually happens to our reality. This is why we have different views about reality. Dr. Bruce H. Lipton mentioned the same thing about Perception and Reality in his book entitled, The Biology of Belief. He said that our health is not controlled by Genetics. This is where Epigenetics is introduced. Now how does it relate to perception and reality? Watch Dr. Bruce H. Lipton’s documentary about Epigenetics. We have been taught by medical science that our body is controlled by genes. Our body, medical conditions, illness and diseases are brought by the genes we already have in our body. If one member of our family does contain a cancer gene for example then chances are we also have that cancer gene with us. It’s like our genes controls our reality. But it’s not true with Epigenetics. Epigenetics is the study of inherited changes in phenotype (appearance) or gene expression caused by mechanisms other than changes in the underlying DNA sequence. What have been found in Lipton’s study about Epigenetics is that genes are just blueprints. If genes control our life, we’re a victim because we didn’t control the genes that we got. But if epigenetics control our life, then we have the option of being a master. Meaning we can change our perceptions! And if we do that, we end up changing our genetic activity. He also stated that, we are not controlled by genes. The genes are controlled by how we respond or perceive the world around us. If the perception in our mind is reflected in the chemistry of our body, and if our nervous system reads and interprets the environment and then controls the blood’s chemistry, then we can literally change the fate of our cells by altering our thoughts. In simplest terms, this means that we need to change the way we think. Say for example your sports career. If you believe that you can’t make it and you’ll lose, you will really lose. That is called the Nocebo Effect (Negative Perception). But if you think positively and think you’ll win, you will really win. That is called the Placebo Effect (Positive Perception). But that cannot be taken easily. Just thinking positively is not enough. There’s part of us that believes we can make it and it doesn’t want to lose (the conscious mind), but we also have this part of us that believes we might make a mistake and lose sooner (the subconscious mind or the deepest belief). Neuroscience recognized that the subconscious mind controls 95% of our lives. This is where we should be focusing at, our Subconscious mind. Most people don’t even acknowledge that their subconscious mind is at play, when the fact is that the subconscious mind is a million times more powerful than the conscious mind. Becoming aware means accessing the behavioral programs in our unconscious mind so that we can change the underlying limiting or self-sabotaging thoughts that don’t serve us. One way to control our subconscious mind is to activate our Alpha-Theta Waves. This is the state where we are in the middle of Alpha (deep relaxation) and Theta (deep meditation) or the state where we are in the Flow. While we are in the flow state, we are changing our perception. We’re enjoying our activity and we have that optimal performance thus it reflects our reality and results into success. We are not controlled by our genes, this is what Dr. Bruce Lipton taught us about Epigenetics or the study of inherited changes in phenotype (appearance) or gene expression caused by mechanisms other than changes in the underlying DNA sequence. We have the power to alter our perception and change our reality. Perception controls our behavior, perception controls our genes and perception rewrites our genes. But how can we do that? If you are in the middle of your sports performance and you believe you could make it to the top, you really would. However, there is something inside telling you that there are chances you will lose and that makes you really lose in the end. This is where the subconscious mind is at play. Your deepest belief or self-sabotaging thoughts that don’t serve you and controls 95% of your life. There are certain ways to control your subconscious mind that makes you alter your perception. 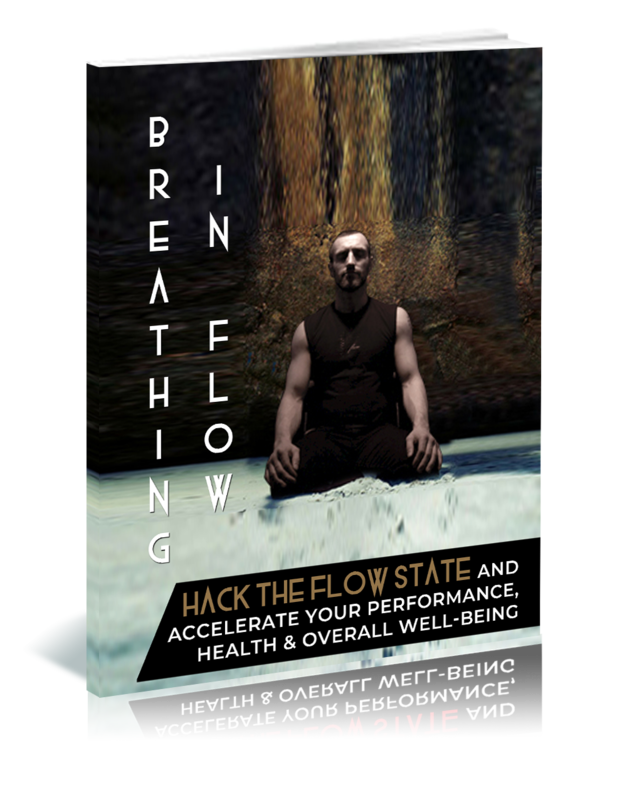 One way is to activate your alpha-theta brain waves or the flow state. While you are in this state, you are playing in the middle of your conscious and subconscious mind, forgetting the surrounding, enjoying the task, while slowly controlling your perception thus affects your reality.